Most students are familiar with the letter I, but they might not realise there are different ways of pronouncing it. 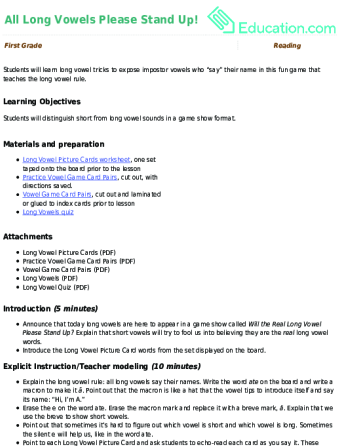 Using Education.com’s worksheets, you can help students understand the difference between the long I and short I. To take the focus off of oneself, but continue learning about the letter I and other vowels, let your students play some of the group learning game ideas listed below. Kids will be thrilled to fill their short "i" vocabulary banks using this lesson plan. It includes worksheets and oral activities to keep young learners engaged. 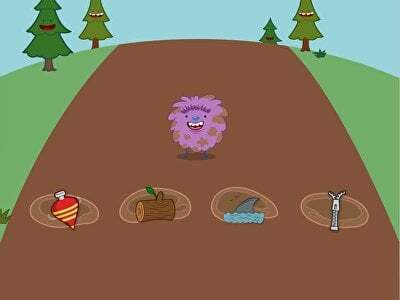 Can you tell the difference between a short vowel sound and a long vowel sound? 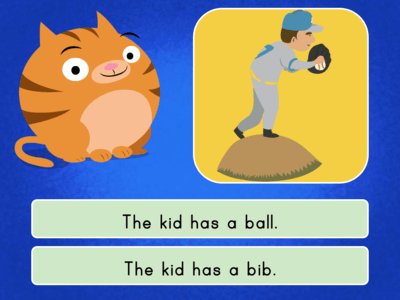 Get a great review with this fill-in-the-bubble quiz. 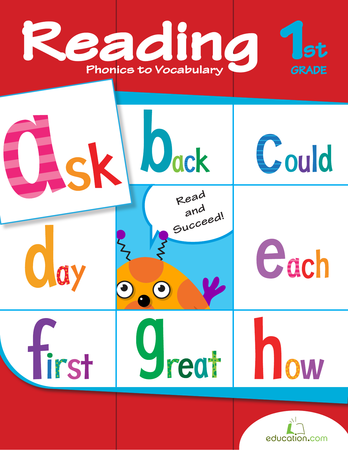 Review basic phonics with this long vowel quiz. Kids will get a chance to practise doing a fill-in-the-bubble style quiz. Understanding letter-sound relationships is an important skill for young readers. 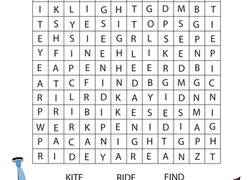 Give your students the practise they need distinguishing between long and short vowel sounds in this long “i” search. 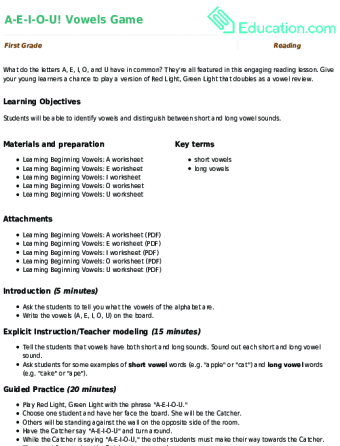 Focus on word families featuring the short i sound with this helpful worksheet. 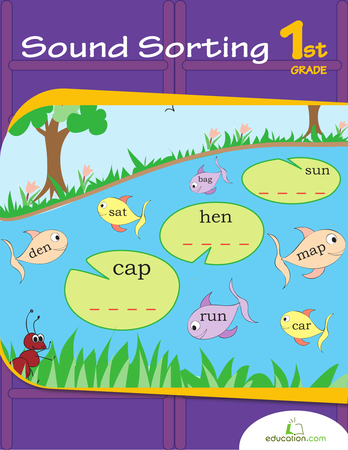 Understanding the phonetic sounds each letter makes is something students typically learn as they learn the alphabet. As we memorize the sequence, we associate each letter with an object starting with that letter. But some letters make more than one sound. 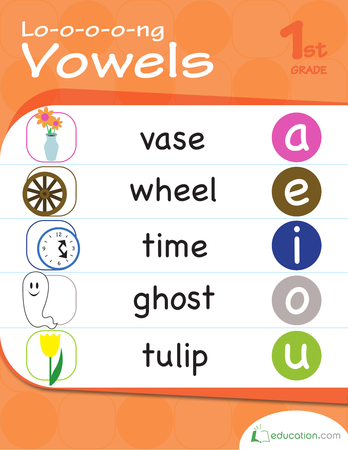 Vowels, like the letter i, have two different sounds they can make based on how they’re used: the long vowel sound and the short vowel sound. The short i makes the vowel sound most commonly associated with the letter as seen in bit, clip, hid, and tip. 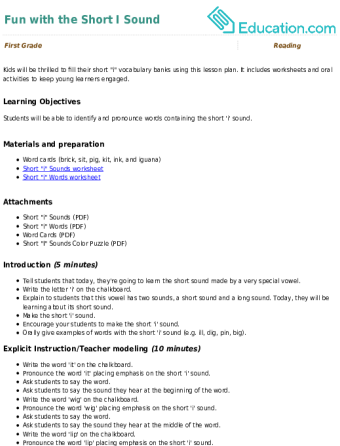 The long i sound makes the sound of the name of the letter in question as seen in bite, hide, sight, and might. Practising with the resources provided by Education.com above may help you students learn to identify these rules in real world scenarios and apply them to their pronunciation.